Paul’s wife, Allison, has succumbed to cancer after a long hard fight. He is grieving still, but time waits for no one. During the final days of her illness, their three children stayed with an aunt and grandparents. Now they've returned home, forcing Paul to engage in life again. Things are still shaky, though, and Paul begins having recurring nightmares that his wife's spirit is being held captive by a grotesque monkey demon. After each dream, Paul wakes to find damage to himself. Scratches on his side. The chain holding his wife's band snapped. Things like that. A few times his son, Jesse, has similar nightmares. As he settles back into caring for the kids, and returns to his job as a realtor, he is approached by a friend to sell the house left by her husband's parents. Stillwell is a grand old house, dating back to before the Revolutionary War. It is a house with a dark history, though. Most recent was the murder-suicide of Craig's parents. Then there's the ghost of Hannah, a young woman of the family during the Revolutionary War found dumped in the well. Her story is a hauntingly sad one, a story that happens to tie in with Paul’s today. Each visit Paul makes out to Stillwell leaves him a little more of a believer in the paranormal. He gets shoved by an unseen force. Ghostly images show in pictures he takes, and later in those taken by the professional photographer. He sees orbs and apparitions with his own eyes. Finally, he is driven to return to the house one final time in a bid to find closure for both Hannah and himself. Michael Phillip Cash’s Stillwell is a brilliant read, and a fairly quick one. I finished in less than a day. Granted, I found it difficult to put down. The description makes it seem like it is going to be one of those cheesy '80s horror novels. It's anything but! This is one part psychological thriller and one part paranormal drama. It plays with notions of synchronicity in the connection between Paul's and Hannah's lives, separated by over two centuries, and with alchemical and shamanic work, in learning to accept the Shadow. Things are not always as they first seem and, sometimes, that which you are afraid of need not be feared at all if faced head-on. I loved the historical/archaeological thread woven in, as Paul learns more of Hannah's past. 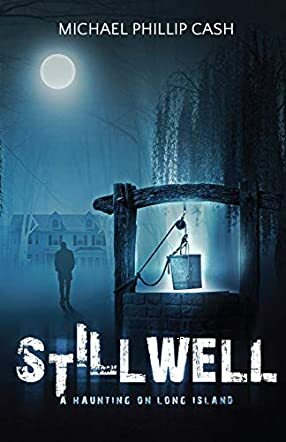 The author concedes at the end that Stillwell and its family are based on a similar true story in the same geographic area.